The emerging ‘downstream of the future’ will require a change in operating business model to accommodate a more integrated downstream value chain. 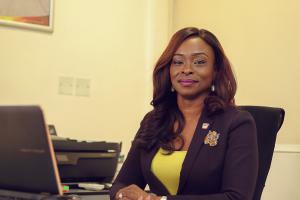 LAGOS, LAGOS, NIGERIA, November 2, 2018 /EINPresswire.com/ — The emerging ‘downstream of the future’ will require a change in operating business model to accommodate a more integrated downstream value chain, service differentiation through technology and shift to importing cleaner fuel, Mrs. Moroti Adedoyin-Adeyinka, Managing Director, Asharami Synergy Plc has said. Adedoyin-Adeyinka who was speaking ahead of the OTL Africa Downstream Conference scheduled to hold in Lagos from October 29 -31, 2018, said the sector’s future would require increased Investments in Downstream Infrastructure, Regional and Pan-African Expansion Opportunities and Increased Integration along the Downstream Value Chain. Asharami Synergy Plc, a Sahara Group Company, is one of the frontline participants at the OTL conference where the organization will facilitate conversations that will bolster the downstream sector with practical solutions. Adedoyin-Adeyinka who joins other leading sector experts will deliver a keynote address on ‘Takeovers and Markets: The changing roles of Independents and Majors in downstream petroleum’ at the conference. “There is a strong prospect for growth in Africa’s downstream sector that will be driven by the emergence of ‘New Majors’ like Asharami Synergy. We are passionate about transforming the sector and believe the OTL platform will throw up key issues all stakeholders need to address as we align with regional and global trends in the sector,” the Asharami CEO noted. Asharami will also engage various stakeholders at the OTL exhibition to discuss its suite of specialized services, including Product Importation, Vessel Chartering, and Product Sourcing on behalf of Third-Party Clients. Other services include construction and bulk storage of Premium Motor Spirit (PMS), Aviation Turbine Kerosene (ATK) and Automotive Gas Oil (AGO) as well as marketing and distribution of bulk, retail, industrial, commercial and door-to-door white product sales and lubricant sales. Asharami currently supplies 27% of Nigeria’s aviation fuel demand and supplies a significant share of Nigeria’s Premium Motor Spirit (PMS) and Automotive Gas Oil (AGO) requirements.